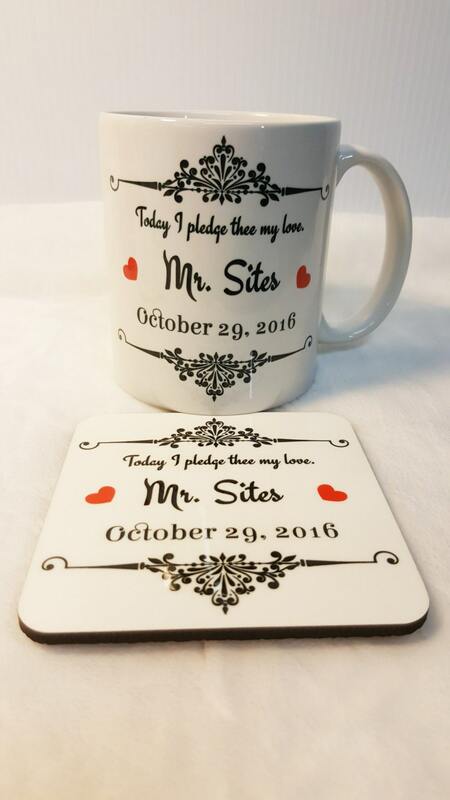 This bridge and groom coffee set will make a wonderful wedding gift set. 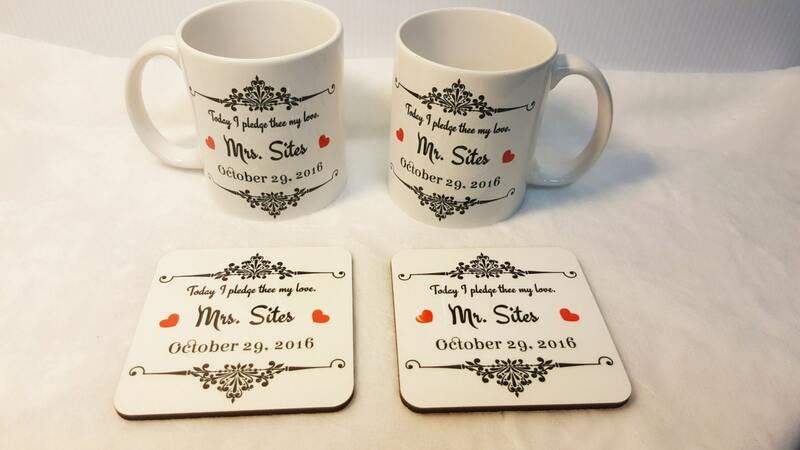 Bride and Groom gift sets will be treasured by the newly married couple. 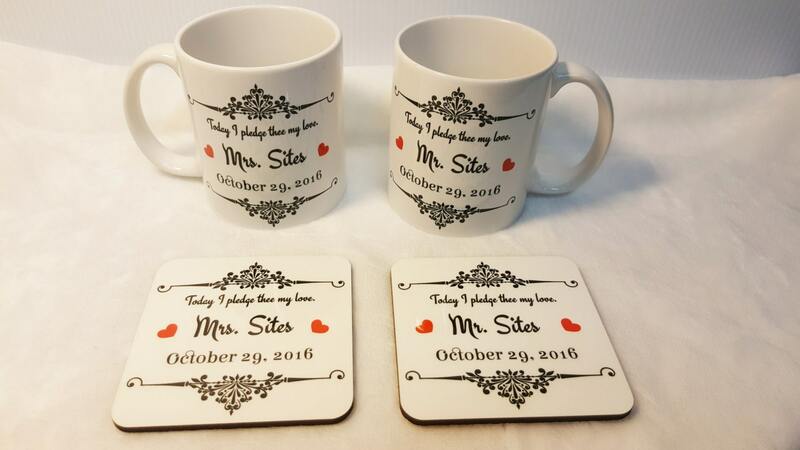 Every time they use the coffee mug gift set which consists of matching mugs and coasters, they will remember their special day and your thoughtfulness. 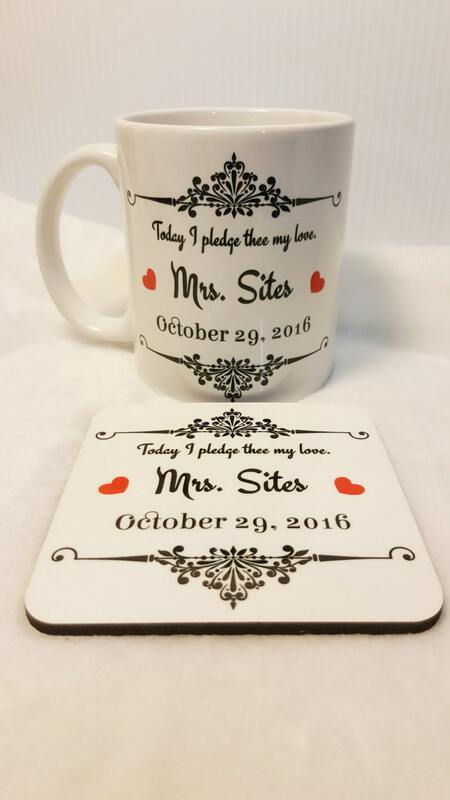 Our mug and coaster set consists of two 11 ounce white ceramic coffee mugs with matching hardboard coasters with cork backing. 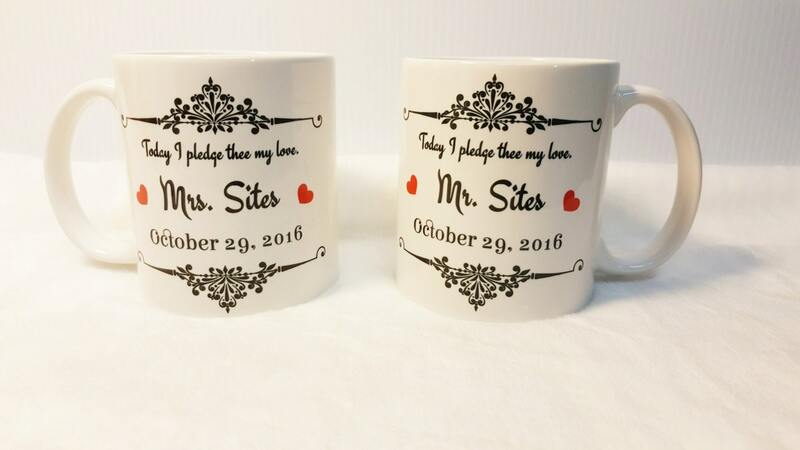 We will ship your mugs in gift boxes within a shipping carton.